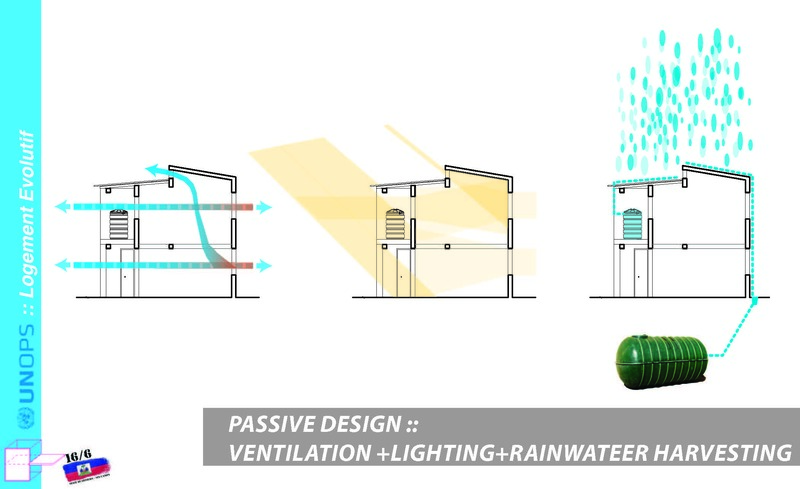 At a more micro scale, urban design and architecture play an important role to create and adopt passive design strategies in order to optimize natural resources as much as possible. 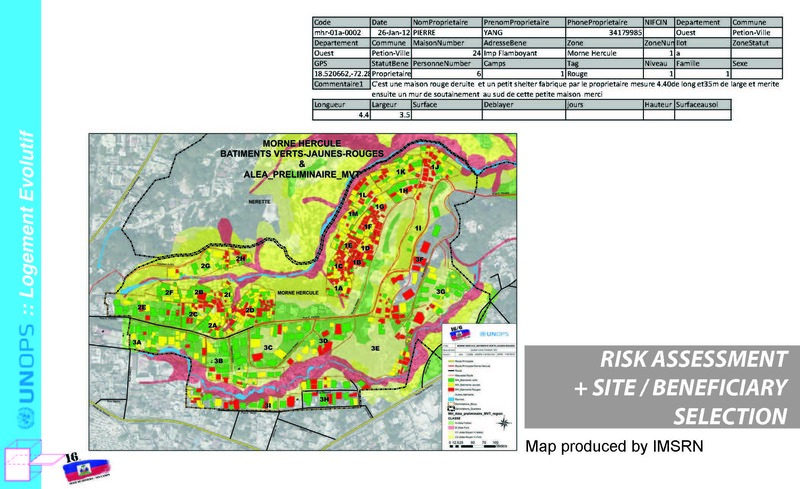 In Haiti, this primarily includes aspects of lighting, cross-ventilation, placing attention to the orientation of houses, their agglomeration, the use of topography, water management, etc. 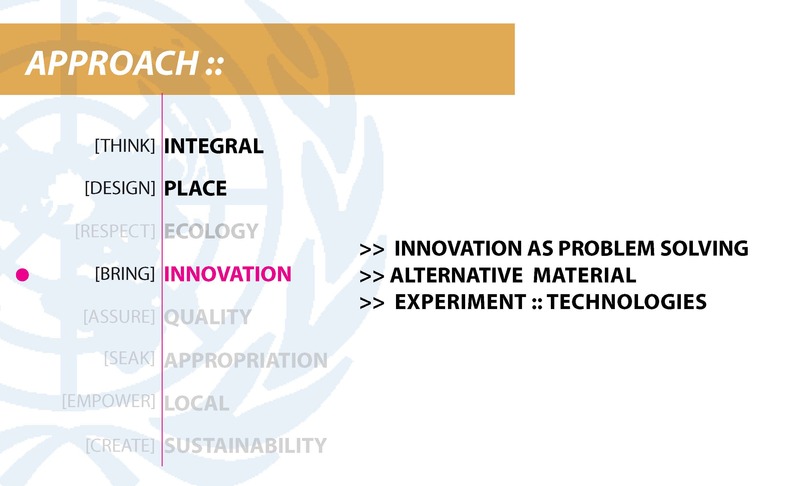 When speaking of innovation, it is not necessarily looking at the use of new technologies or inventions, but innovation as a problem solving tool. Many times innovating simply means challenging the paradigm and making some changes in order to increase efficiency and benefits. 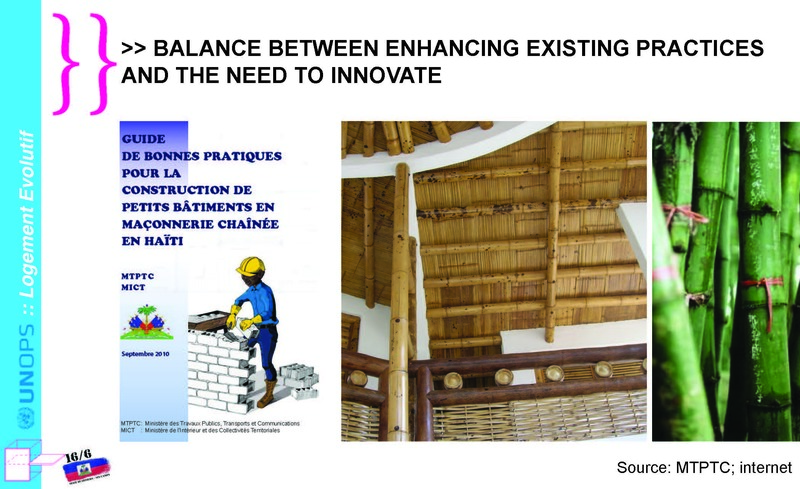 Once again to base this principle on a concrete example, all reconstruction efforts we (UNOPS) have done in Haiti support the new guidelines and construction codes put in place by the government (with the assistance of various other actors and organizations). 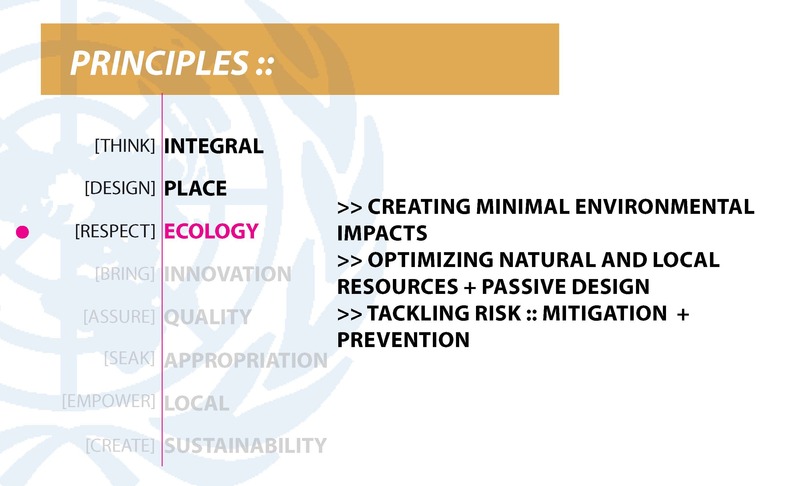 The intent here ihas been to support existing policies and better building practices, not by challenging what already exists but by improving it. 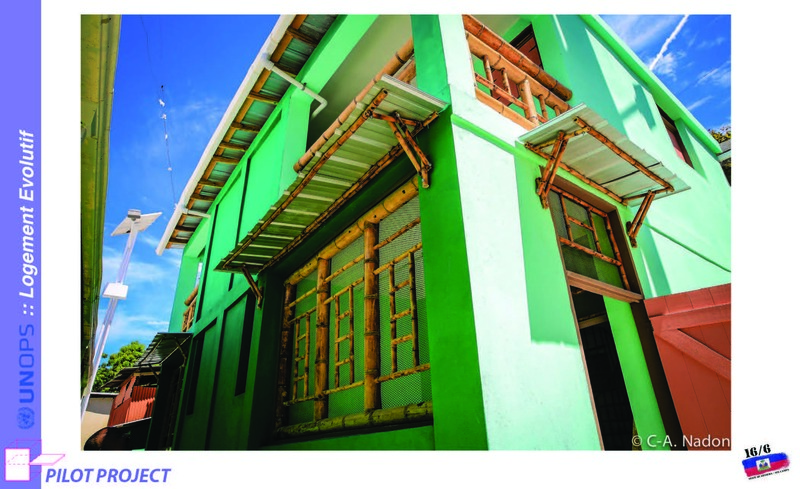 Thus, the housing reconstructions done in the neighborhoods are all done with confined masonry, the construction technique that is primarily used, taking advantage of accessible materials in the markets and neighborhoods.